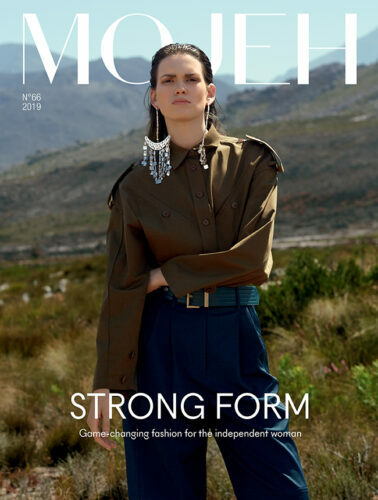 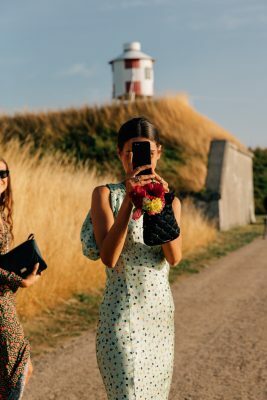 Held twice a year in the Denmark capital, Copenhagen Fashion Week is the largest fashion week in the Nordic region and offers a chance for the rest of the world to catch a glimpse at some of the most stylish Danes as well as top designers from the region. 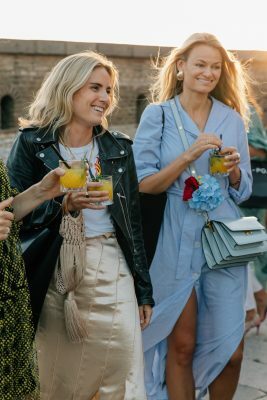 To mark the start of Copenhagen Fashion Week on August 7, Net-A-Porter’s retail fashion director, Lisa Aiken and co-founder and creative director of Social Zoo, Pernille Teisbaek hosted an intimate dinner in Trekroner Fort with nine of its key Danish designers. 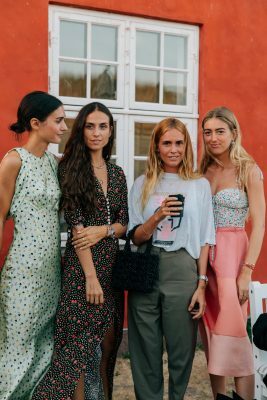 Guests included influencers such as Lucy Williams, Darja Barannik, Erika Boldrin, Linda Tol, Blanca Miró, Emili Sindlev, Chloe Loulou de Saison, Beatrice Gutu and Diletta Bonaiuti, alongside designers Stine Goya and Thomas Hertz of Stine Goya, Nicolaj Reffstrup of Ganni, Cecilie Bahnsen, Mathilde Torp Mader of By Malene Birger, Susanne Holzweiler, Sophie Bille Brahe, Philip Lotko and Daniel Brix Hesslager of Rains, Louise Van Hauen and Veronica D’Souza of Carcel and Barbara Potts and Cathrine Saks from Saks Potts. 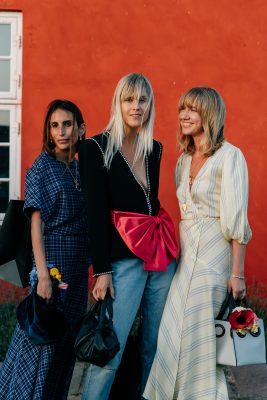 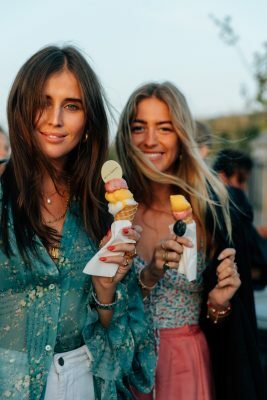 Of course, when it came to their wardrobes, our favourite Scandinavian It Girls didn’t disappoint and gave us all the sartorial inspiration we could possibly need for summer. 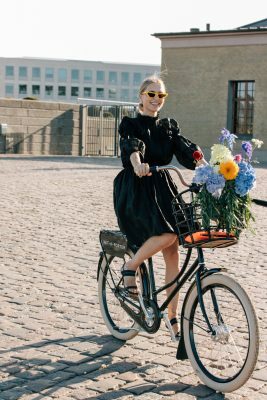 Pernille Teisbaek accented her black ensemble with eye catching neon orange accessories, while Blanca Miró proved Manolos and a Shrimps handbag can dress up any outfit and Linda Tol confirmed bigger is definitely better when it comes to bows. 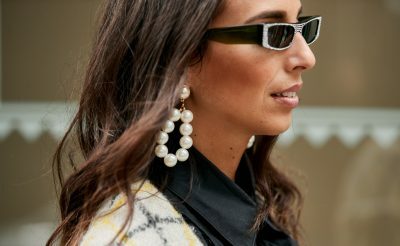 From the fun and feminine designs of Baum und Pferdgarten to the wardrobe staples of By Malene Birger, here are six super cool Scandinavian brands you need to know.